BIG Paw Print Roll Tickets are printed on white paper stock in bright colors. 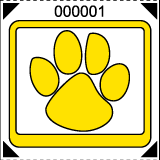 These tickets are perfect for school event admission tickets, PBIS tickets, lunch vouchers and sporting events. 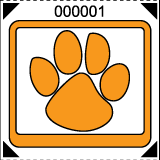 Each 2" by 2" ticket is sequentially numbered within the roll and has a vivid Paw Print logo on the front of the ticket. 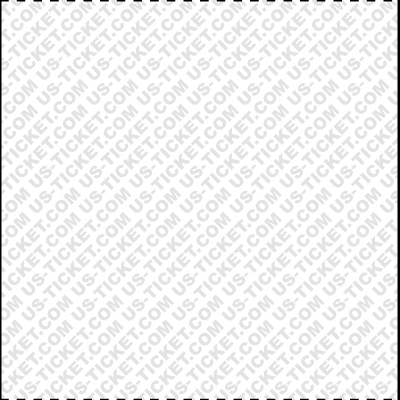 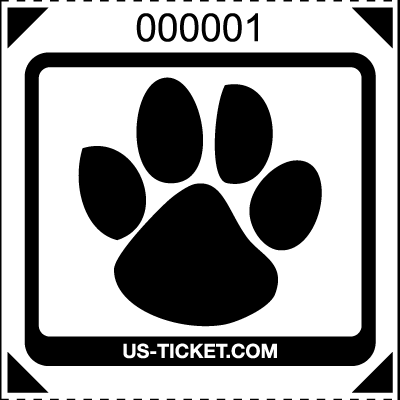 The backside of the ticket has a security watermark feature. 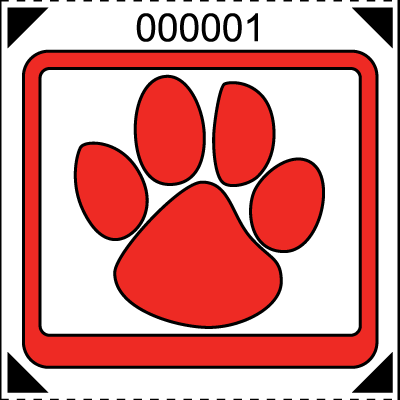 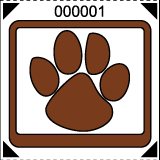 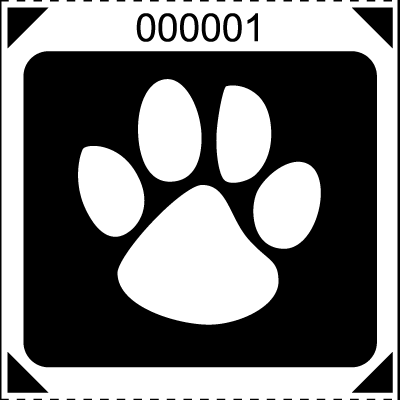 The Color of the Paw Print designates the ticket color.